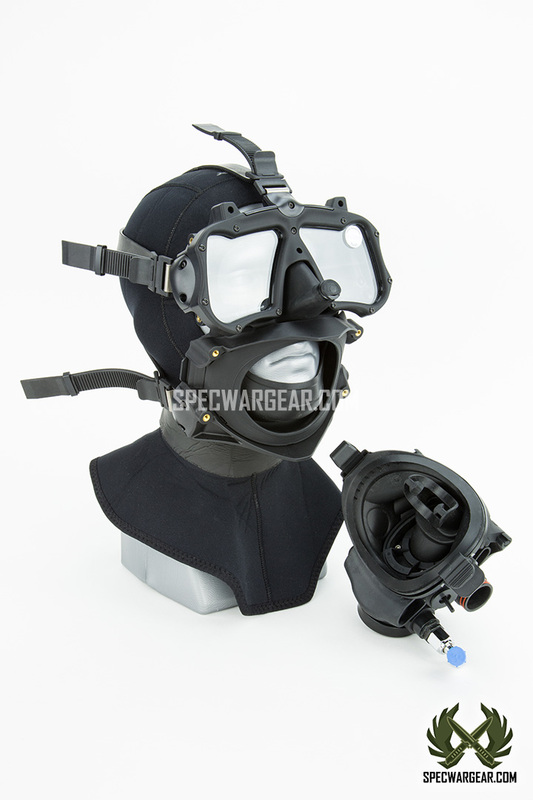 Kirby Morgan Dive Systems, Inc.
SKU: GEARDIVE0008. 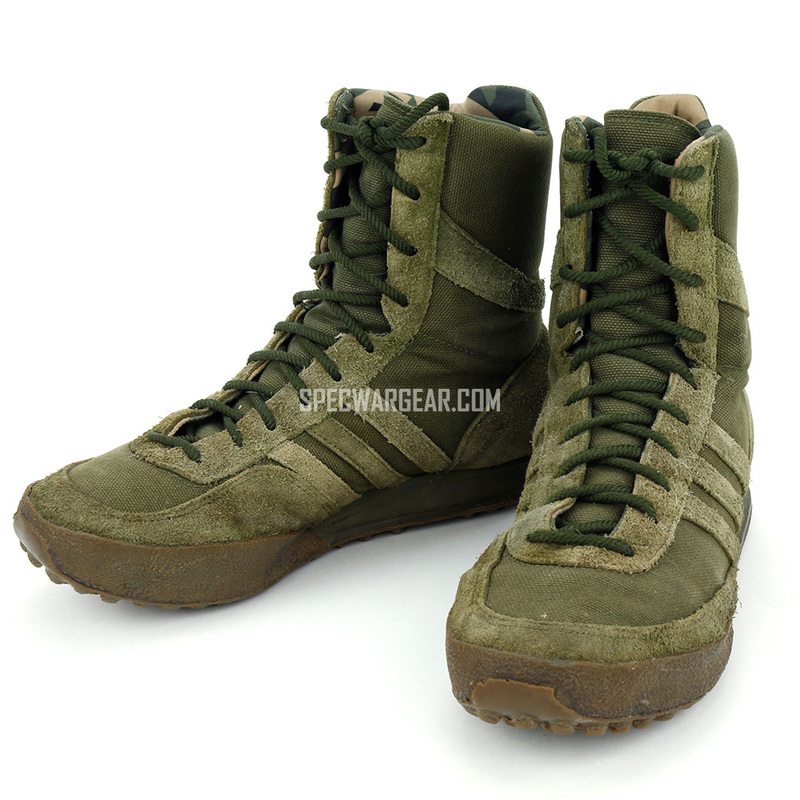 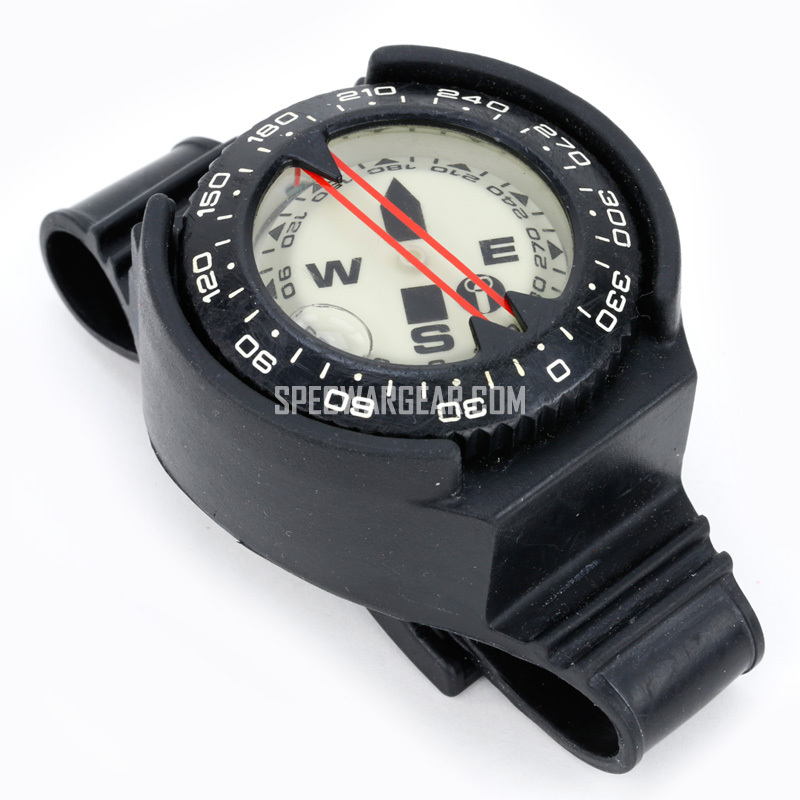 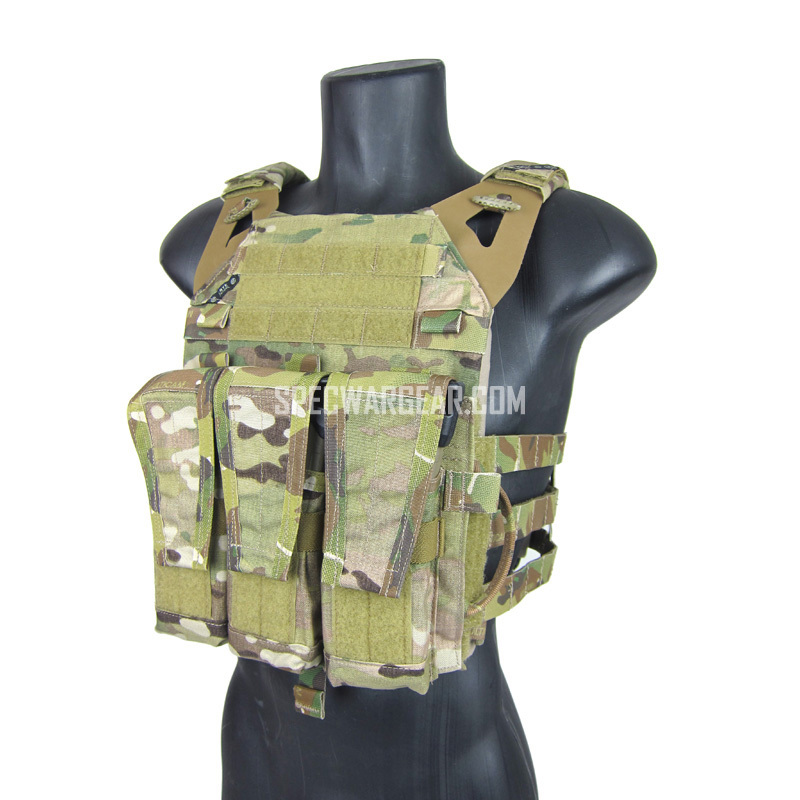 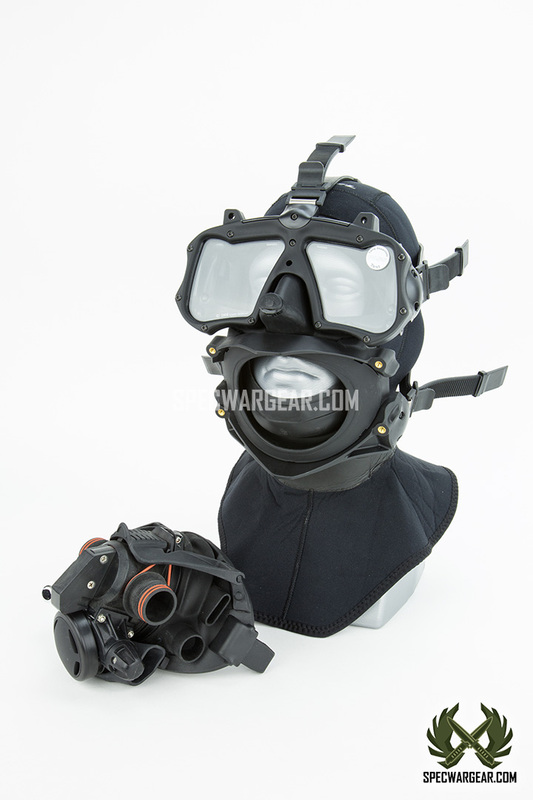 Availability: In stock Size: N/A Categories: Dive and Swim, Gear. 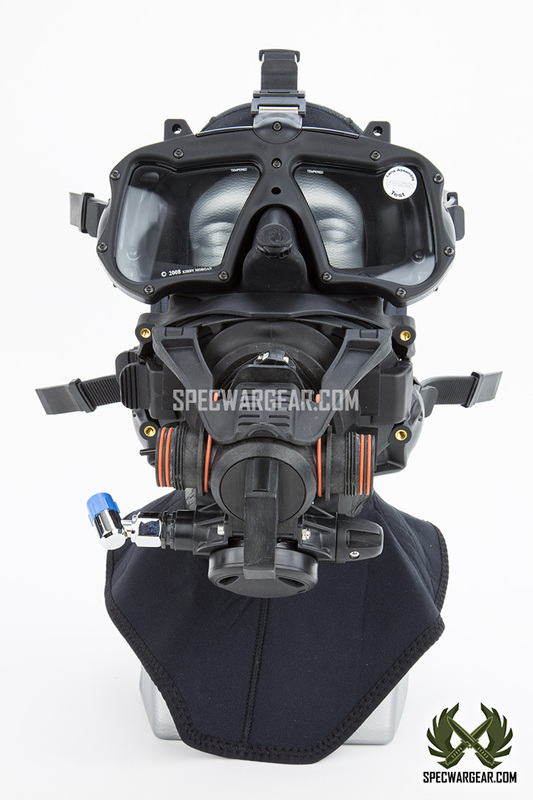 Tags: Combat divers, Dive Mask, FFM, Full Face Mask, Kirby Morgan, M48, M48 MOD-1, rebreather, rebreather pod, US SOF. 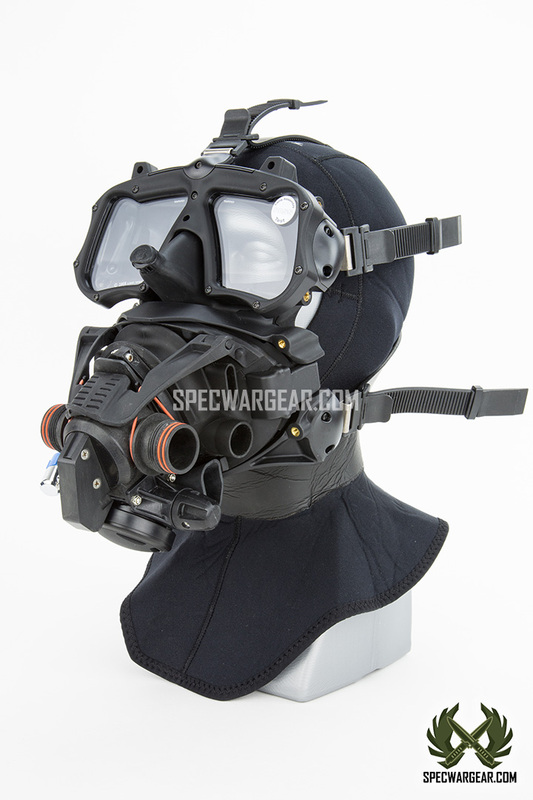 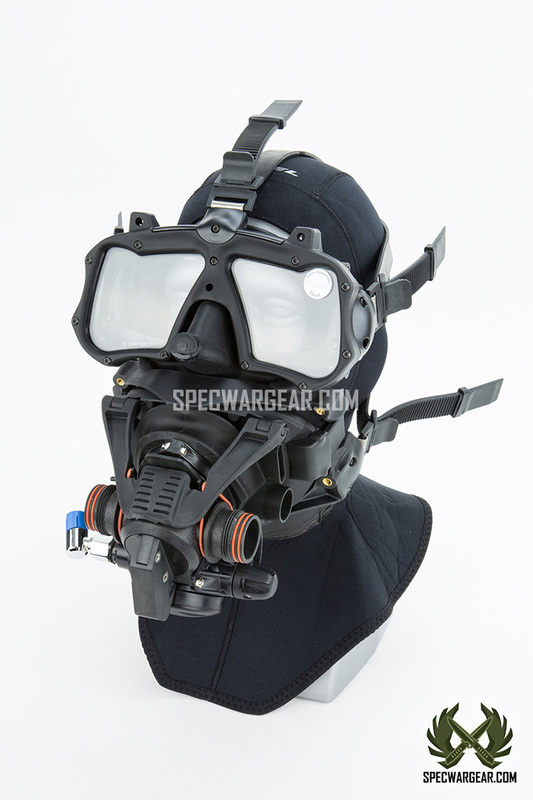 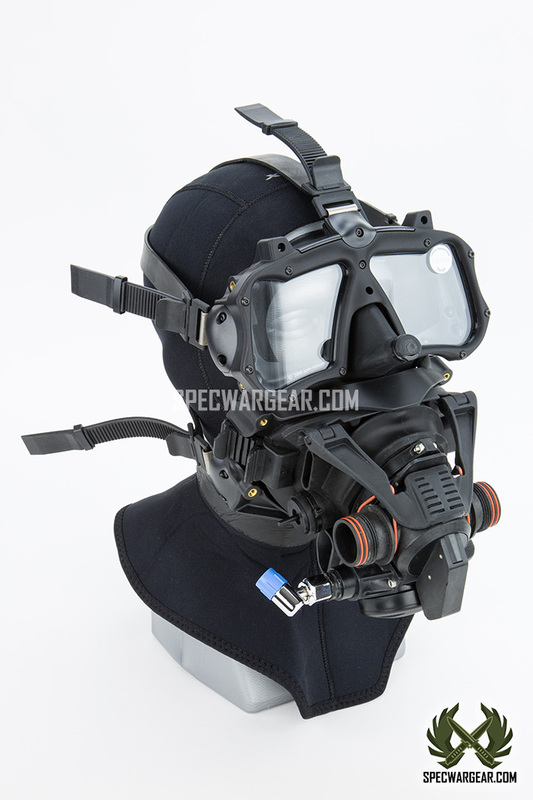 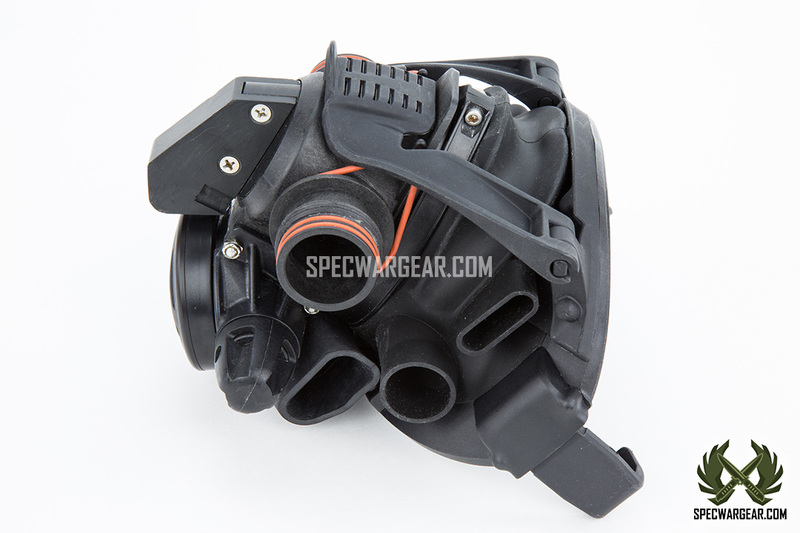 The Kirby Mogan M48 MOD-1 Full Face Dive Mask is the next generation of the popular original M48 mask. 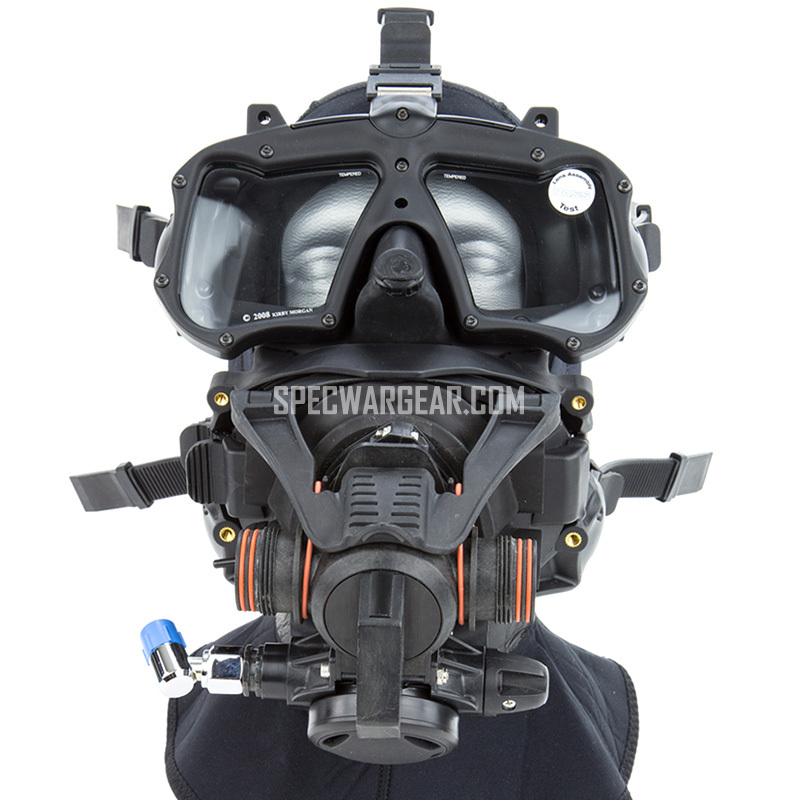 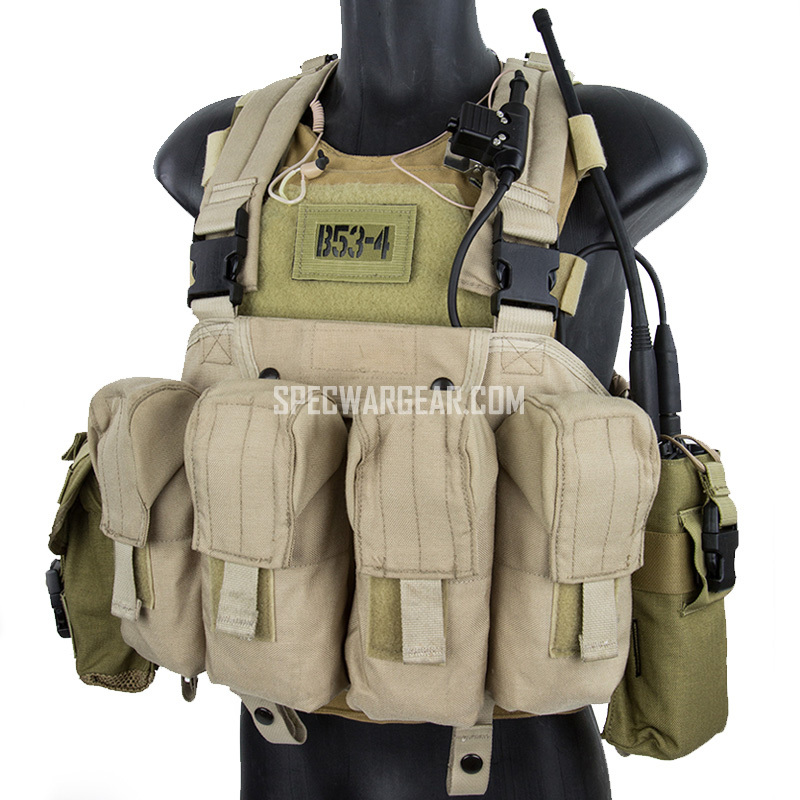 It has been tested and certified by Dive Lab Inc. Configuration in both open and closed circuit mode has been tested and approved for use by U.S. Military organizations. The mask features the unique 2-cavity design. 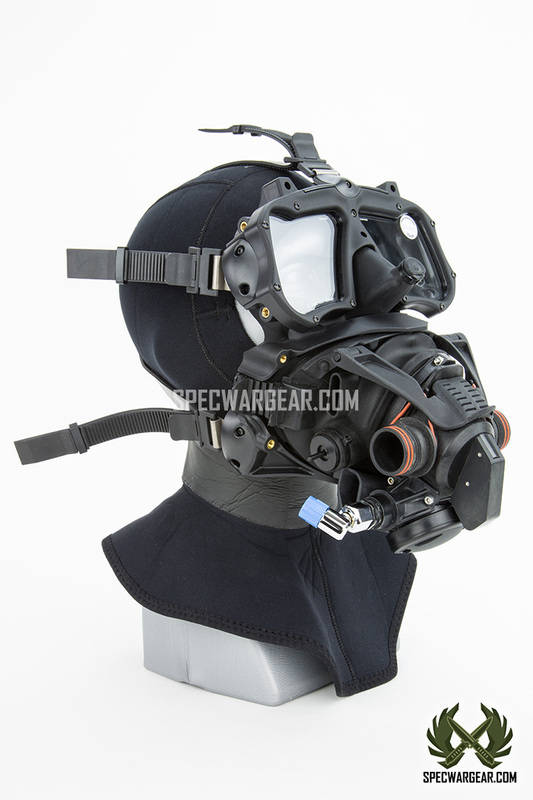 This allows the lower pod to be removed while topside to conserve air, and allows normal speech while diving. 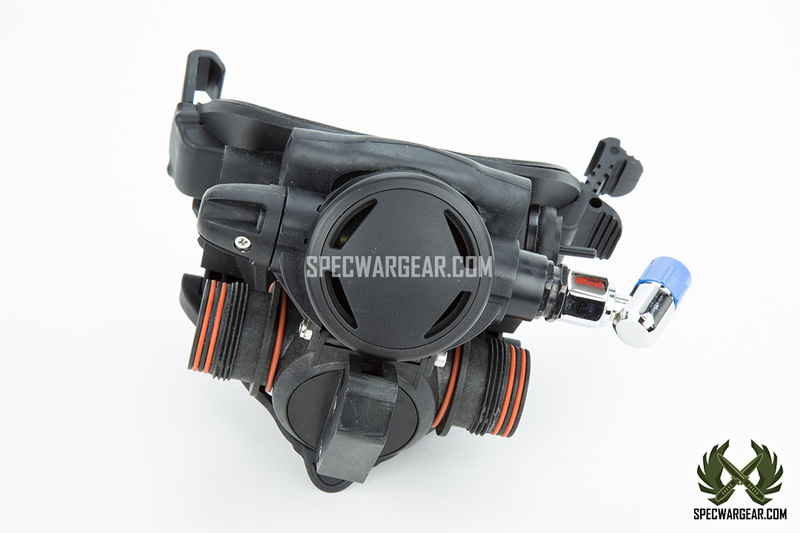 It may also be used with a variety of different communication systems. 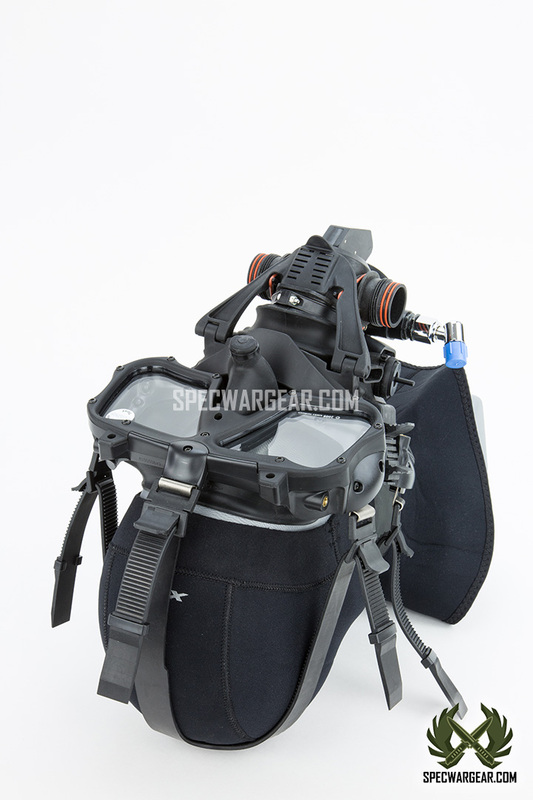 The lower pod is removable under water to allow making gas switches, and to share gas in the event of an emergency. 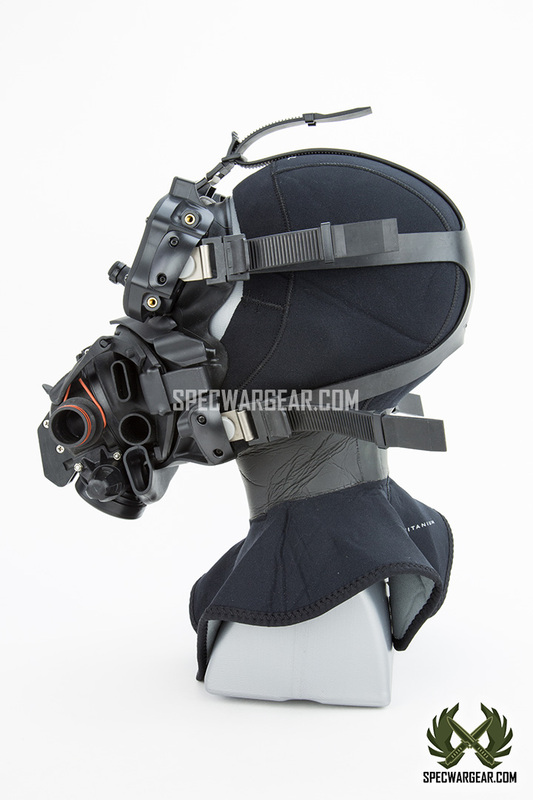 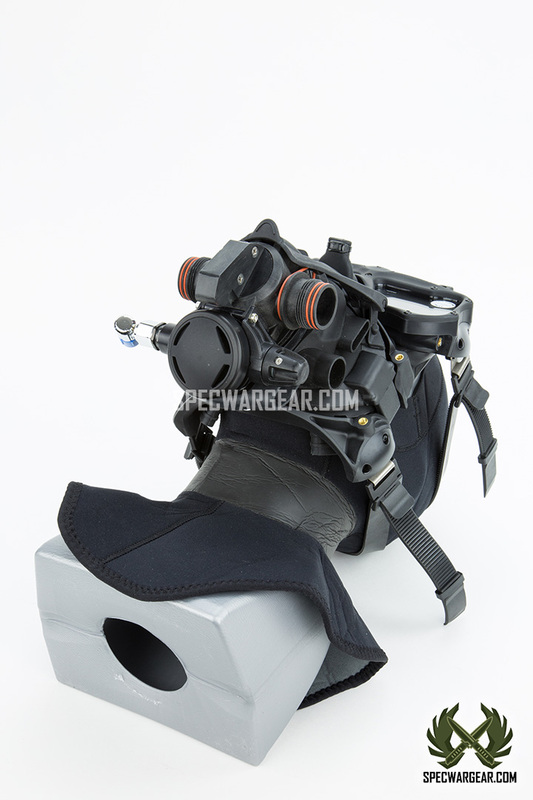 The evolution of the mask has given way to a dramatic increase in visibility, an improved buckle system, 5 leg straps, a mechanical equalizing device, and a variety of options for mounting external components, (lights, cameras etc.). 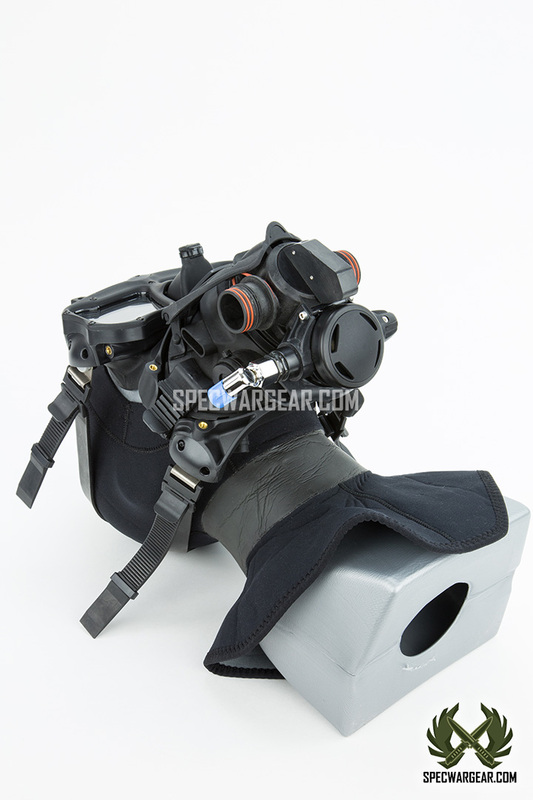 Rebreather POD with switchover regular. 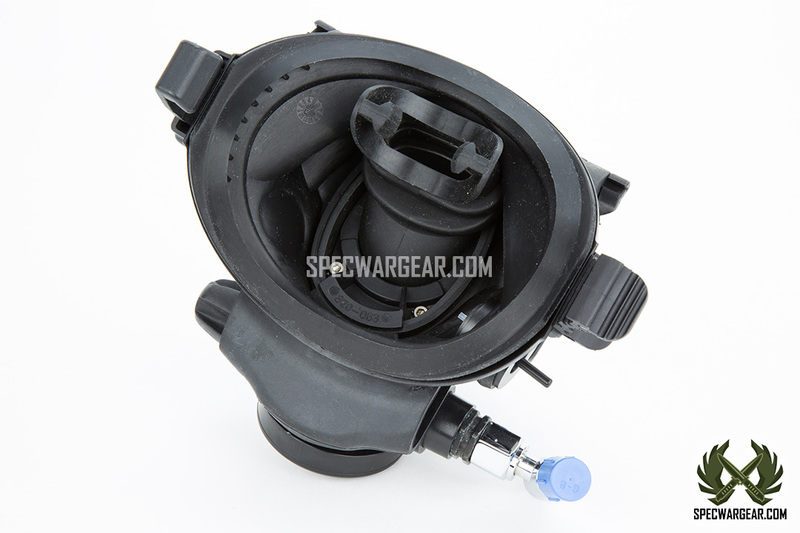 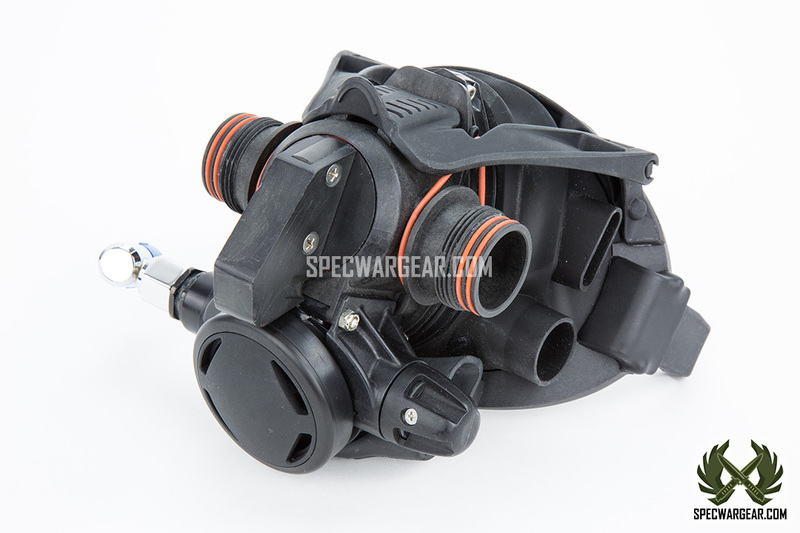 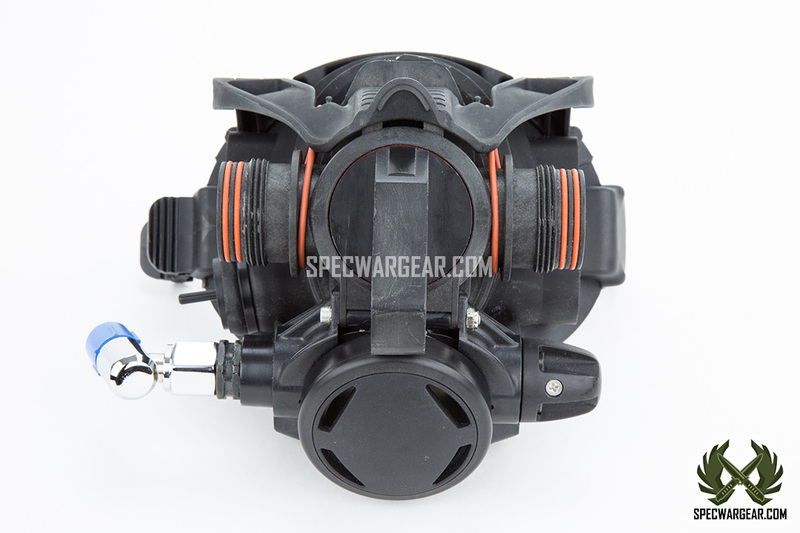 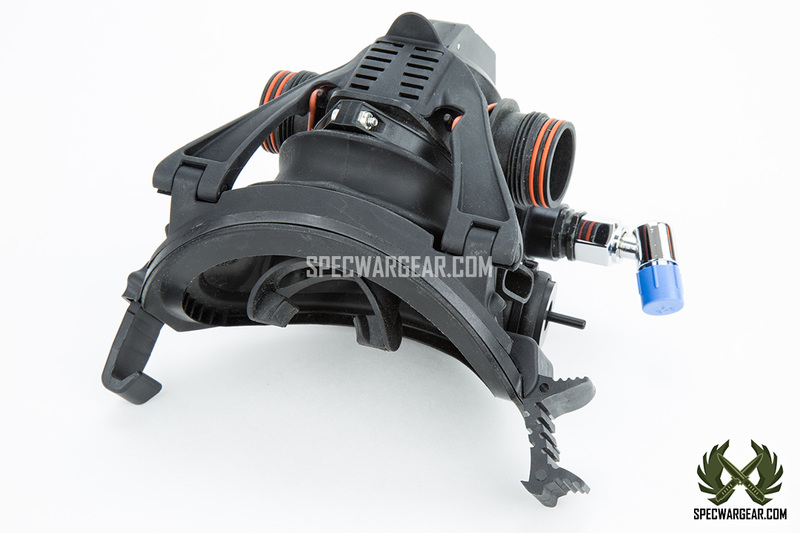 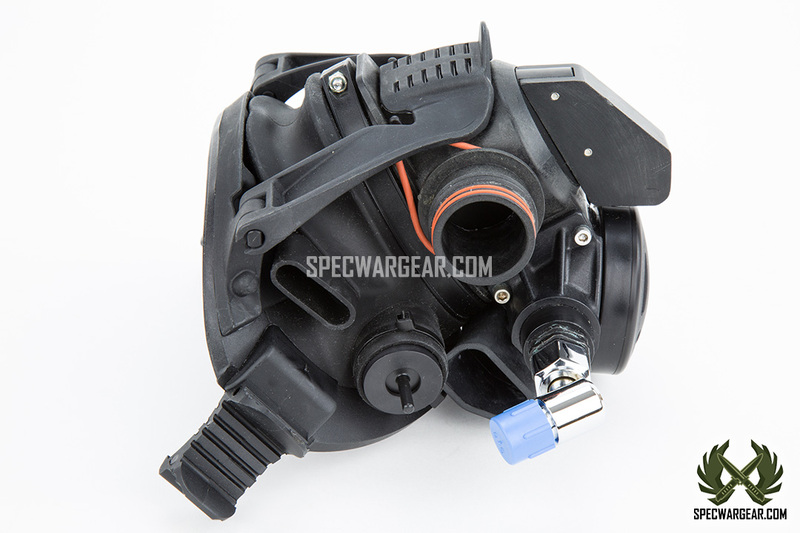 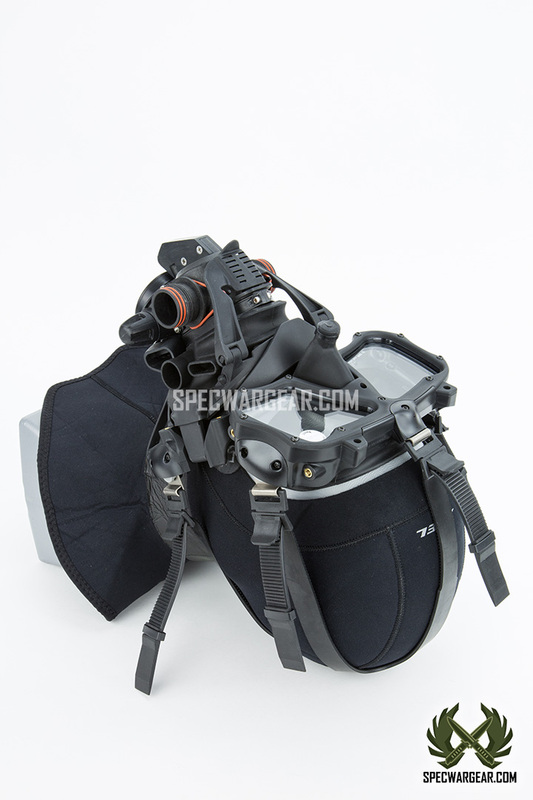 The Kirby Morgan® Rebreather POD , also referred to in the past, as the NATO POD, with switch over regulator is designed to be used in operation with the Kirby Morgan® M-48 MOD-1 and SuperMask® modular full face masks. 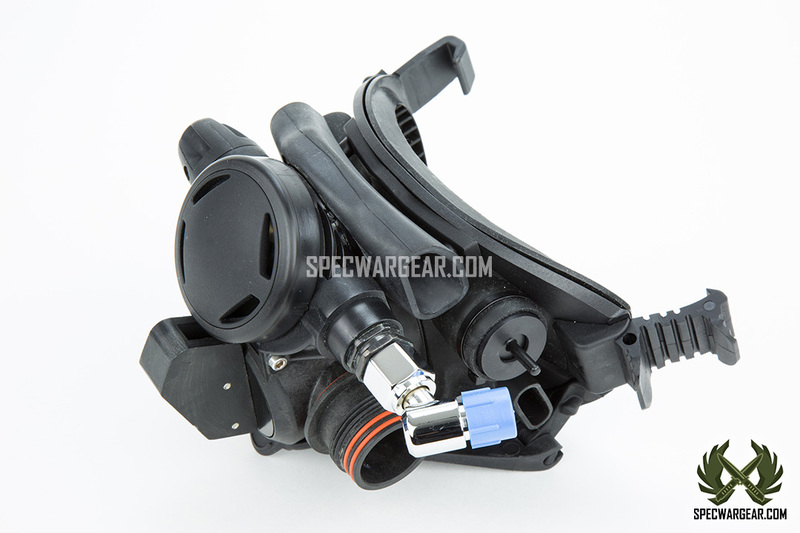 Bailing out to an off-board gas and going off the “loop” or switching gasses underwater is as simple and straight forward as turning a handle on the front of the POD. 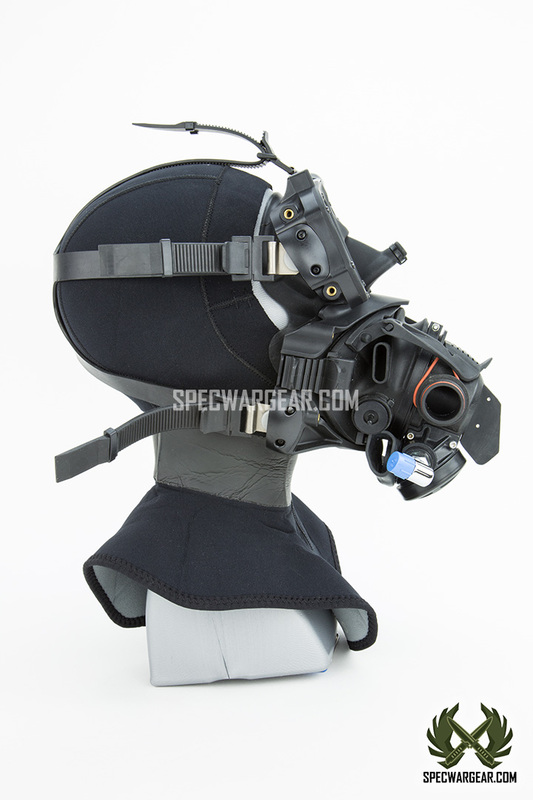 This Modular design also allows the diver to release the POD underwater to accept alternate air sources without ever removing the mask. 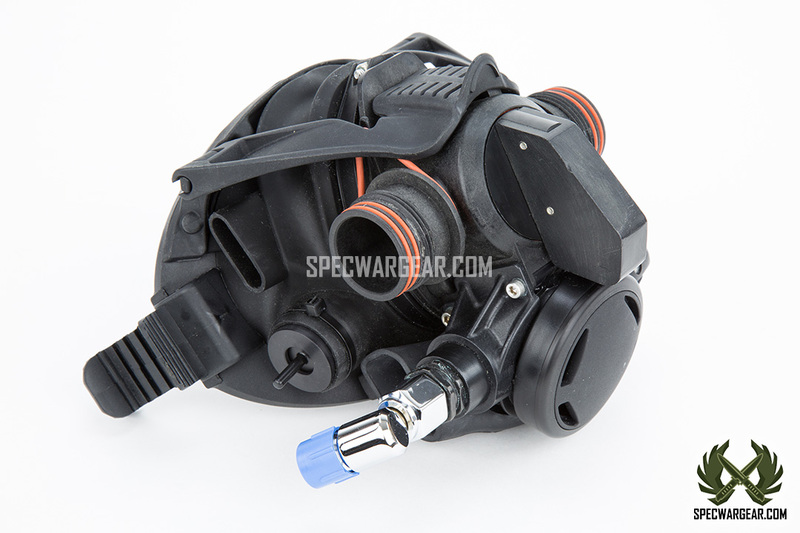 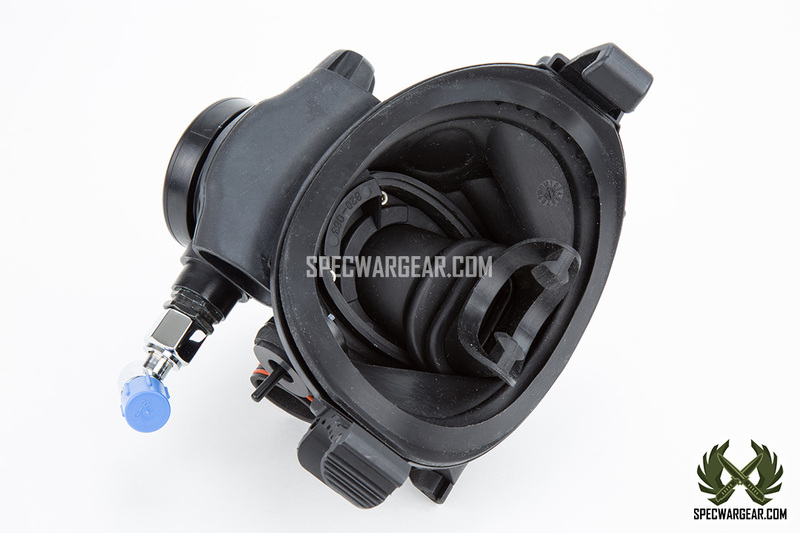 The Rebreather POD requires unit specific hose adaptors to connect to commercial / military rebreather units.